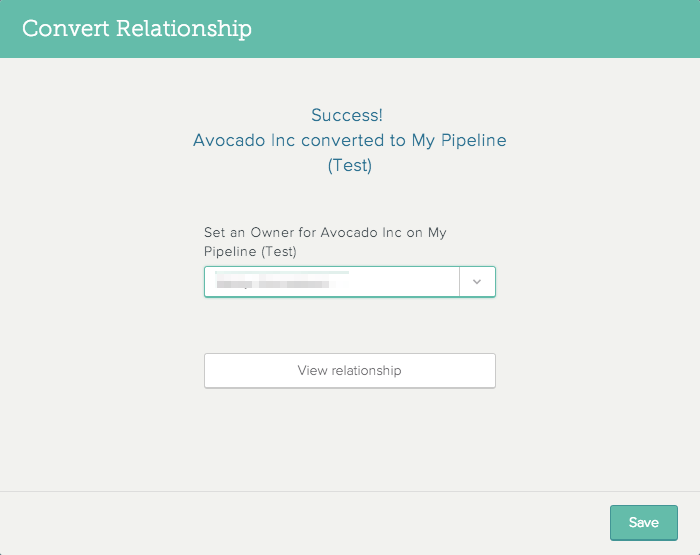 Organization admins can set up customized settings that let you convert leads, opportunities, etc. from one List to another as they pass through your processes. For example, you may want to convert leads to opportunities once they've been qualified, or opportunities to customers once they've made a purchase. Note: Converting objects from one List to another is a two-step process. First, you must enable conversion flow, as described in this article. Then you must manually convert the List objects. Enabling conversion flow does not automatically convert objects between Lists when a status is changed. Learn how to find your Organization admin(s) here. 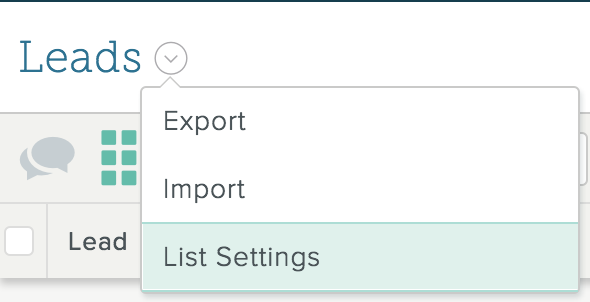 Click the List name at the top of the screen and select List Settings. On the screen that appears, check the Enable Conversion Flow box. 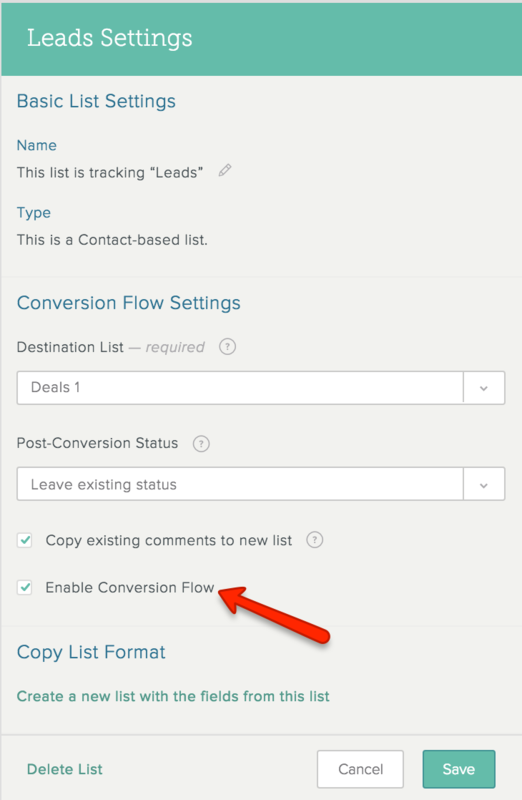 Under Conversion Flow Settings, select the List to which you want to transfer your lead, opportunity, etc. (Destination List). 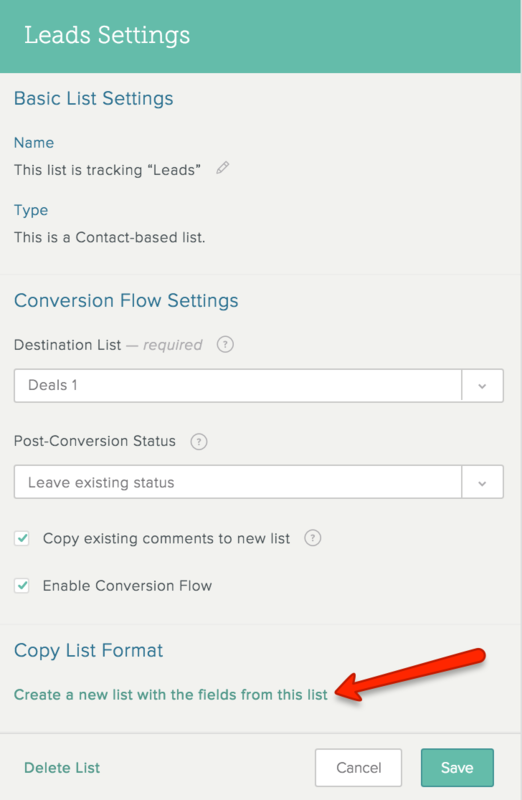 Note: The destination List for a conversion flow must be an Accounts List. If the destination List you want doesn't appear, you need to assign it as an Accounts List. Open the destination List, click the List name at the top of the screen, and click List Settings Under Type, select Accounts. Click Save and then repeat the procedure above to set up the conversion flow. 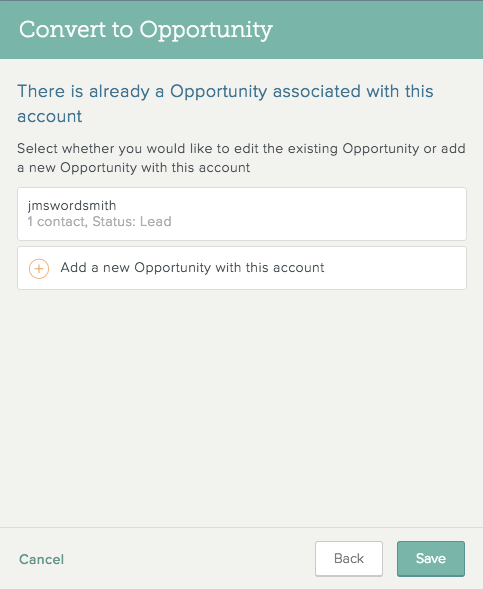 Select the default status for the lead, opportunity, etc. after conversion (Post-Conversion Status). This status is applied to the entry on the originating List after conversion. All converted entries on the destination List start at the first active status for the Status field on that List. Note: After conversion, the Days in Status field on the originating List resets to 0. Check the box if want existing comments copied to the new List, and then click Save. Learn about how to convert individual leads, opportunities, etc. here. Copy just the object names from one List to another. Copy both the object names and the Grid format from one List to another. Convert an object on one List to another—for example, convert a lead to an opportunity, or an opportunity to a customer. Only SalesforceIQ CRM default fields and Intelligence fields are copied to the destination List. 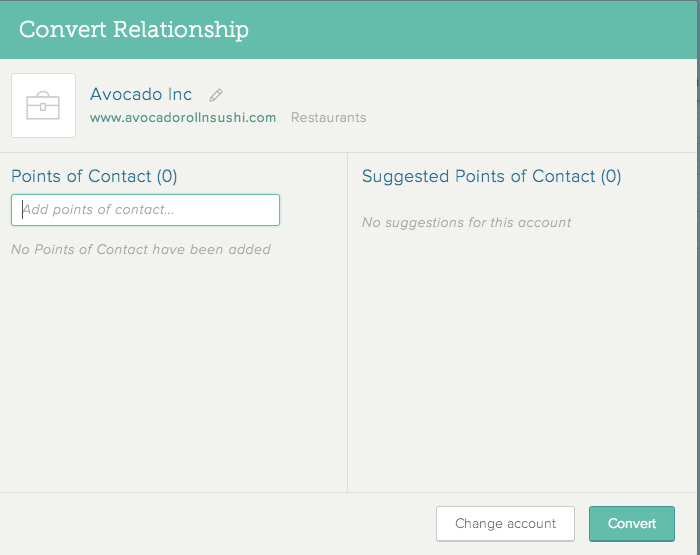 To view data for Contact fields or Account fields, you need to manually add them to the destination List. In the List Grid view, check the boxes to the left of the objects (Contacts or Accounts) you want to copy. In the toolbar that appears above the List, click Copy to. Select the new List and click Ok.
Click the List name at the top of the Grid view and select List Settings. In the Settings, under Copy List Format, click the Create a new list link. This copies the List template, but not the Contacts, Accounts, or content. Return to the original List and check the boxes to the left of any objects that you want to copy. To select all the List objects, check the box at the above the List. Select the new List as the destination and click Ok.
To copy the Grid contents to your new List, use hotkeys to highlight the Grid contents and copy and paste the information from one List to another. When a List admin enables a conversion flow between Lists, you can quickly convert an object and move it to another List in your organization. All converted objects on the destination List start at the first active status for the Status field on that List. 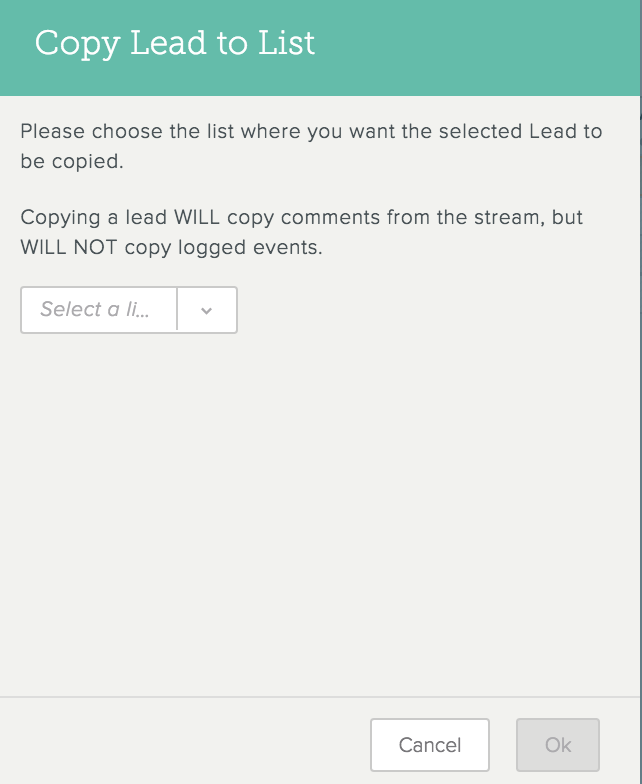 Depending on the settings chosen by the List admin, the conversion process can also copy over comments and notes. Only SalesforceIQ CRM default fields are converted and moved to the destination List. To view data for Contact fields or Account fields, you need to manually add them to the destination List. Note: After conversion, the status of the object on the originating List changes to the post-conversion status chosen by the administrator when setting up the conversion flow, and the Days in Status field resets to 0. Open the List containing the object you want to convert. In the toolbar that appears above the List, click Convert. Note: If Setup Convert appears instead of Convert, it means that a List admin hasn't set up the conversion flow settings for that List. Learn more here. To update an existing List object, click the object. To create a new List object, click Add a new [List object] with this account. Search for or select any Contacts you want to add to the object on the destination List. Any Contacts to the List object are also automatically added to the Account. Select the object Owner in the destination List. You convert a Contact from a Contacts List to an Account in an Accounts List. You have Other List fields in the destination List. In this case, if you later convert a different Contact into the same Account, the second Contact's information overwrites the original Contact's information in the Other List fields on the destination List.